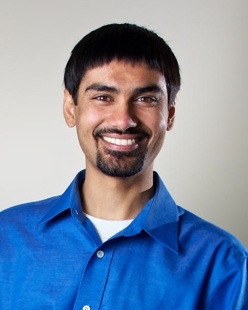 Shwetak Patel has been appointed as the Washington Research Foundation Entrepreneurship Endowed Professor of Computer Science & Engineering and Electrical Engineering. Shwetak’s research interests are in the areas of Human-Computer Interaction, Ubiquitous Computing, Sensor-Enabled Embedded Systems, and User Interface Software and Technology. He is particularly interested in developing new sensing technologies with an emphasis on energy monitoring and health applications for the home. He was a founder of Zensi, Inc., a residential energy monitoring company, which was acquired by Belkin, Inc. in 2010. He is also a co-founder of SNUPI Technologies, a low-power wireless sensor company. He is the recipient of a MacArthur Fellowship (2011), Microsoft Research Faculty Fellowship (2011), Sloan Research Fellowship (2012), TR-35 Award (2009), World Economic Forum Young Global Scientist Award (2013), and an NSF CAREER Award (2013). He was named Top Innovator of the Year by Seattle Business Magazine, and Newsmaker of the Year by Seattle Business Journal in 2011. Earlier work was also honored by the New York Times as a top technology of the year in 2005. He is a member of the World Economic Forum’s Global Shapers Community, and was selected as a Seattle Shaper in 2012. Congratulations, Shwetak. And many thanks to our friends at the Washington Research Foundation – WRF has supported UW CSE and UW as a whole in so many ways over so many years!